Home »Photography»PhotoPlus Expo 2009 is coming! PhotoPlus Expo 2009 is coming! My favorite trade show is almost here!!! 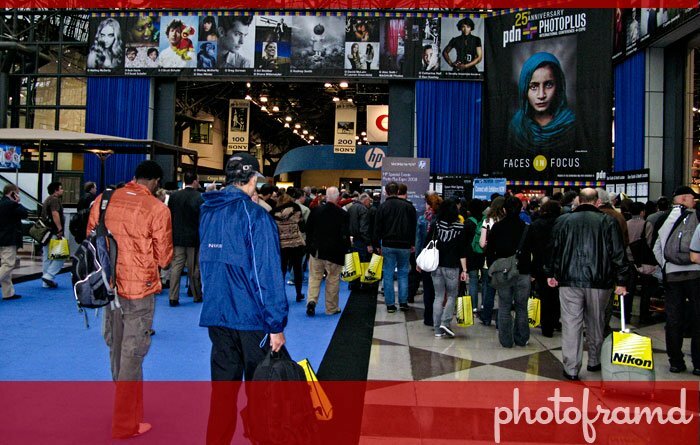 PhotoPlus Expo 2009 will be held at the Jacob Javits Convention Center on October 22-24, 2009. If you are going to be near New York City during that time, you have to go! I go every year and I always have a good time. Of course, there are classes and scheduled events, but you could easily spend the whole day just walking the trade show floor. And, if you register before October 8th, it’s FREE. Every major manufacturer of cameras, photographic accessories, computer hardware, image manipulation software and photo printers will be there. In fact, the biggest booths are usually Adobe, Canon, Nikon, HP, Epson, Sony, Leica, Lowe Pro, Tenba, Manfrotto, and the list goes on. Check the list of exhibitors on the floor plan. But, it’s the smaller manufacturers that have real innovations. You can read my reviews from 2007 and 2008. Expect product introductions, discounts and show specials. You will not leave empty-handed!